The DST will acquire a portfolio of three NNN-leased properties on a sale-leaseback with the tenant Collis Roofing. The portfolio consists of mixed-use office and warehouse properties located in Central Florida. The three-property portfolio is comprised of 86,822 rentable square feet of office and industrial space situated on approximately 11 acres of land. The leases will be corporately guaranteed by Collis Roofing, Inc., Florida's largest roofing contractor. The Lakeland, FL Property consists of three single-story industrial buildings completed in 1985 and 1988. The Longwood, FL Property consists of a single-story industrial building completed in 1987. The Melbourne, FL Property consists of a single-story industrial building completed in 1990. NOTE: Cash on cash distribution projections for the entire hold period are included in the full offering materials or can be discussed with your Cornerstone representative. Serving 64 counties throughout the state, Collis Roofing is the largest roofing contractor in Florida and the 15th in the nation. This award-winning company specializes in new construction, commercial and residential, commercial solar, windows, doors and siding, and is fully licensed and bonded. They maintain certifications with all major manufacturers and have completed nearly 100,000 roofing jobs. The company was founded in 1993 and currently employs over 550 roofers. It has generated average profit over the last several years in excess of 17 times the annual lease obligation and an average of $50+ million in revenue. The properties are strategically located throughout Central Florida, providing Collis Roofing the ability to competitively serve a large portion of the state. 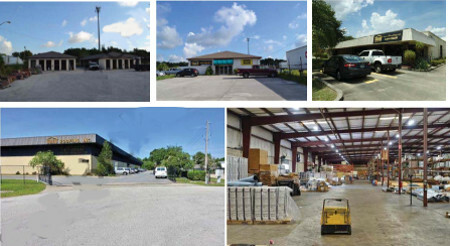 All three properties are essential to Collis Roofing's day-to-day operations as regional headquarters and distribution hubs for various projects througout Florida. The principal investment objectives will be to: preserve the Beneficial Owners' capital investment, make scheduled distributions to the Beneficial Owners from the Trust’s cash flow from Rent collected under the Leases, after Trust expenses, starting at 7.1% per annum in Lease Year 1 and increasing to 9.6% per annum in Lease Year 10; and sell the Properties at a profit within approximately 10 years.